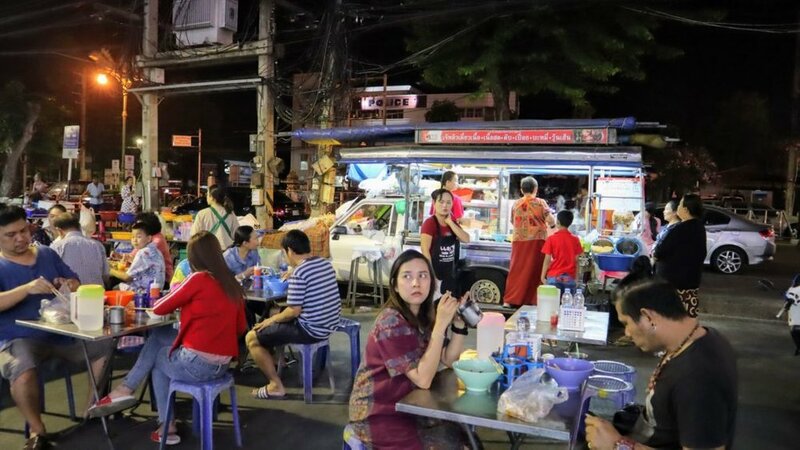 In every part of Thailand, this type of street food place's very common. It's easy, it's convenient and it's movable! and most of the time, the food from this kind of place, is Thaily delicious and really affordable. 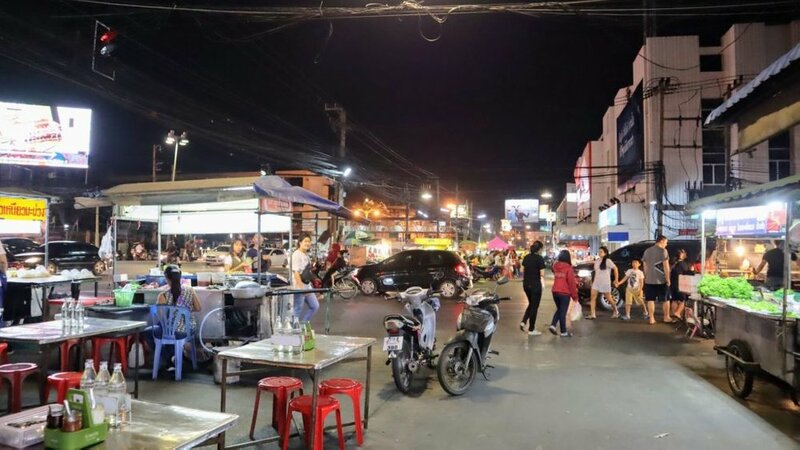 This one that we somehow just came across when we're scooting around the Kanchanaburi city, we rode past this big street food night market or in Thai called 'Talat Toa rung (ตลาดโต้รุ่ง)'. I was actually very surprised by the size. Way bigger than other ones I always go to. We stopped by the market and strolled around a bit before ending up at this noodle place on wheels. 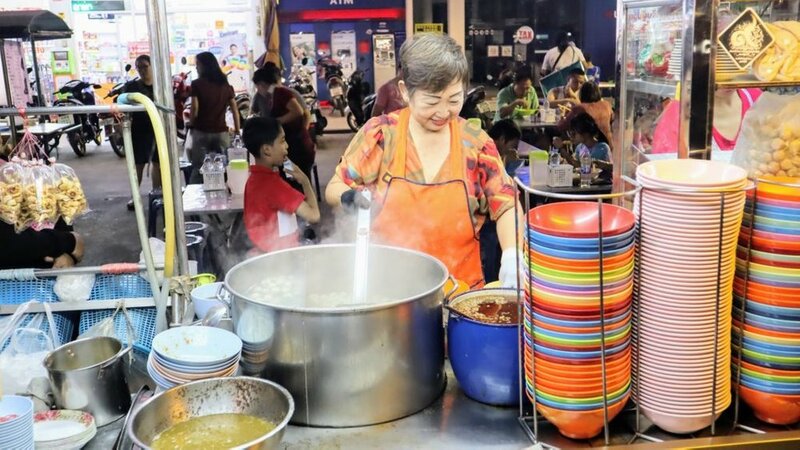 A place that has the owner stands and cooks all the food herself with probably one or a few helpers... That's the type of place I always go for. 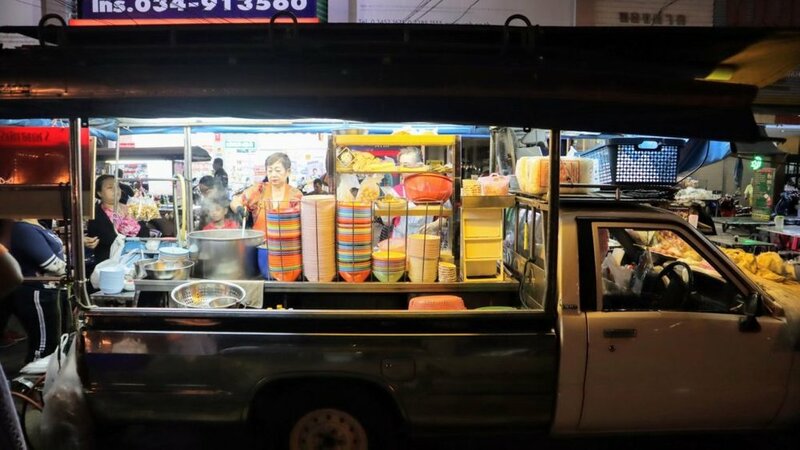 A pick up truck with all the noodle making station at the back. The owner seemed pretty happy and smiled most of the time. A few tables behind the shops and they're all full. 3 out of 4 of us somehow agreed to go for that place so there we went! 4 of us . 4 big bowls of beef noodle soup. 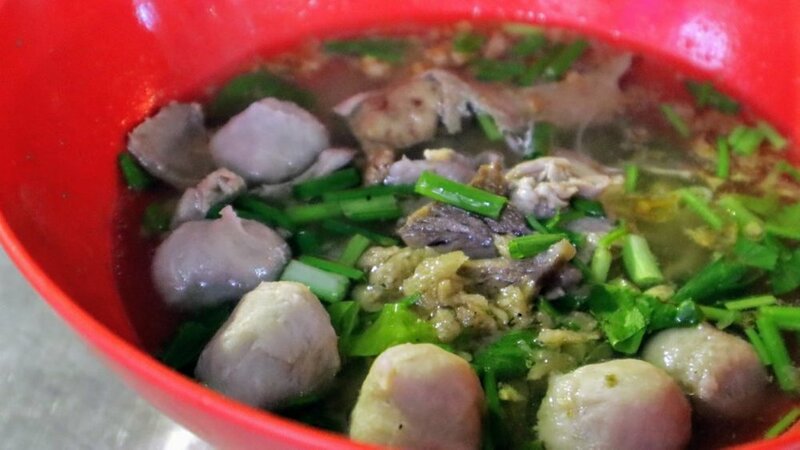 Each big bowl costed us 45 THB ($1.5). Which is totally a decent Thai price. One thing that surprised me the most though, believe it or not, we got charge 5 THB for a cup of ice! That's pretty ridiculous. A lot of good looking food places at this market so totally worth checking out if you ever have a chance to go visit Kanchanaburi. Oh! It's also just right across the street from the Kanchanaburi walking street that's held every Saturday evening! Not on Steem yet?? Let the ninja gets you a Steem account and start earning crypto!